On the way to the pool in the Presidio..This is the fountain in front of the entrance to their childcare facility. Awesome for the kids huh? Just thinking Yoda is like a regular awesomeness that gets a fountain. 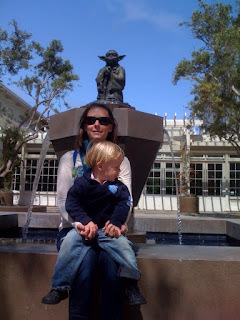 I think the Lucasfilms facility in the Presidio is kinda like a real-life "Eureka".